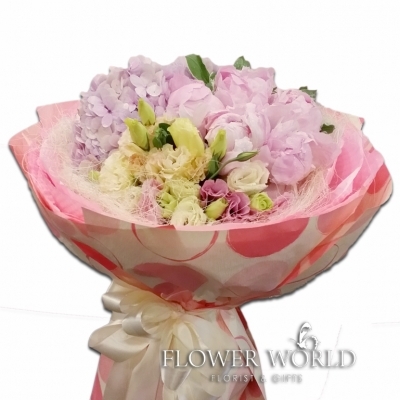 A round bouquet arranged with pink hydrangea, 5 pink imported peonies and white eustomas along with sweet williams at the side. 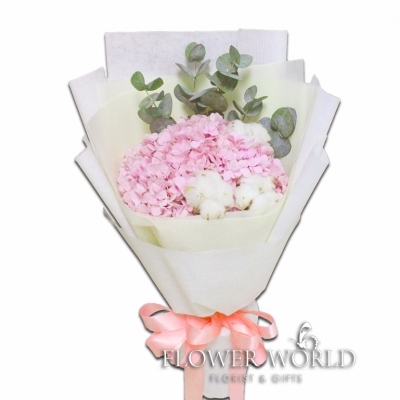 5 pink peonies assemble together with pink hydrangea and pink and white eustomas, arranged in a round style bouquet. 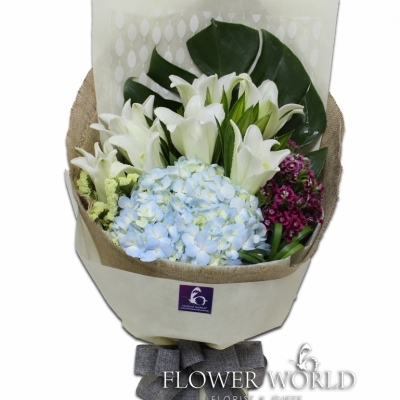 A blue hydrangea and 7 white madonna lilies along with sweet william and statice arranged together in a bouquet. 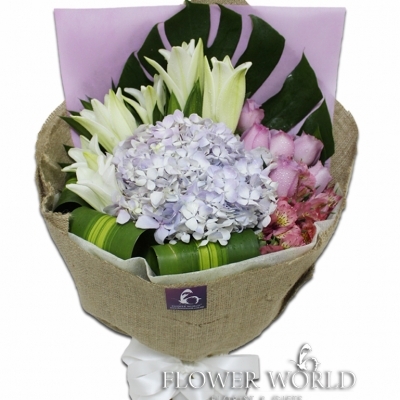 A lilac hydrangea, 6 madonna lilies and 6 purple roses arranged together in a long style bouquet. 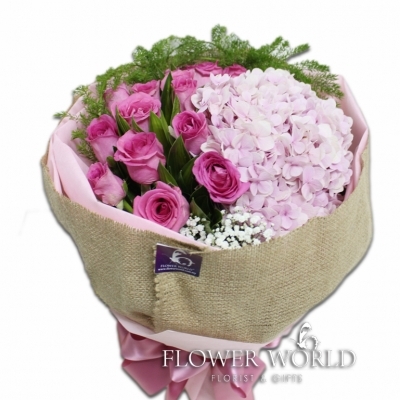 A pink hydrangea and 12 pink roses arranged in a round design along with white eustomas. 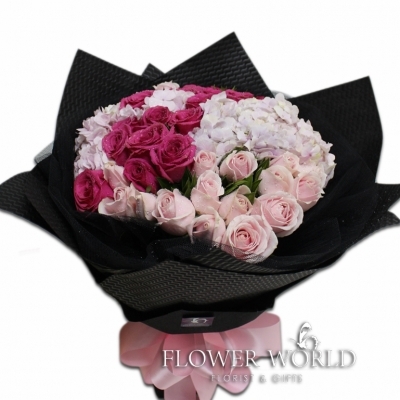 36 roses in different tone arranged 2 pink hydrangeas and wrapped with modern dark wrapping paper. 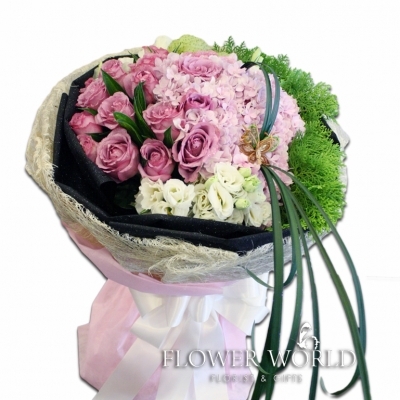 12 red roses and a pink hydrangea arranged together in a round bouquet along with pink alstromeria. 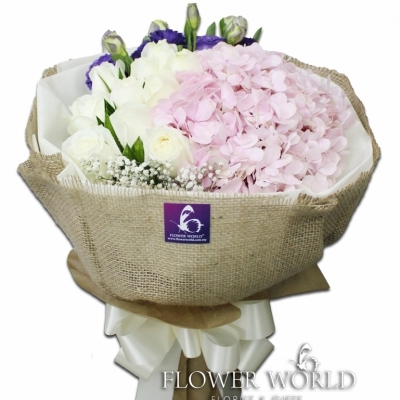 10 white roses and a pink hydrangea arranged in a round bouquet and wrapped with gunny sack. 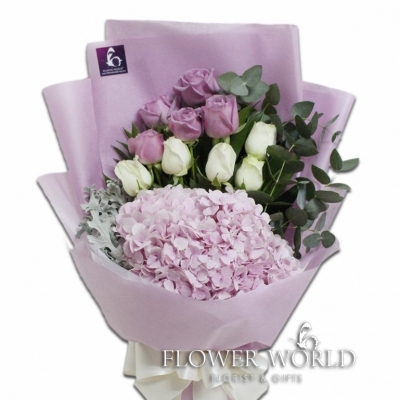 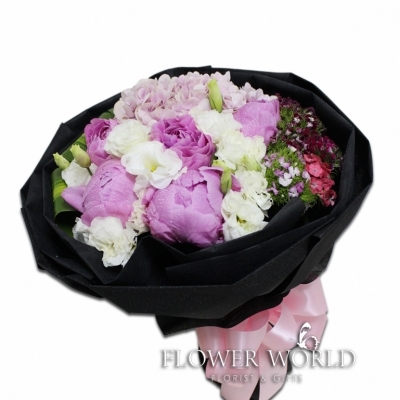 5 purple and 5 white roses combine with a pink hydrangea arranged in a bouquet along with silver leaf and eucalyptus.